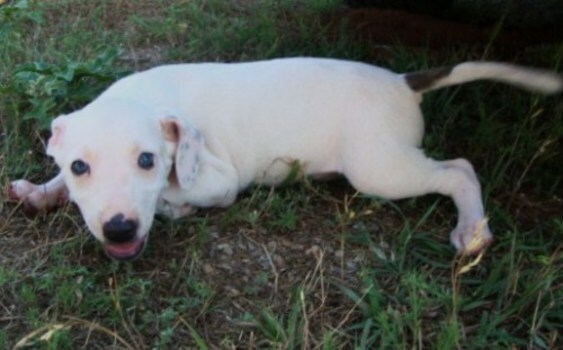 James Dean is a 3 month old male pit bull/ whippet mix. James Dean we rescued with his mom and litter mates from the shelter when they were babies. He is a great pup to be around, he loves to play with toys, other dogs, and is great with children. 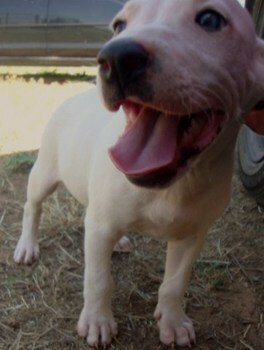 James Dean is working on his crate training and house training and he is doing well just needs some more practice. He is a very smart dog, he is alert with any noise made and always likes to know what’s going on. James Dean is also a couch potato, when he gets tired from playing and running around the yard he just will pass out either on the couch or floor and just fall asleep. He also has the cutest set of floppy ears and he has a white body. 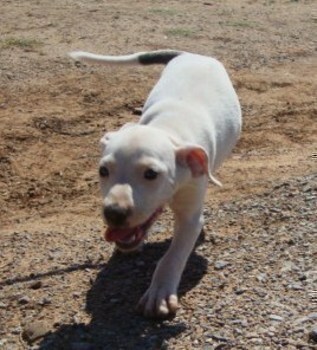 His mom is a beautiful blue and white whippet/pit bull mix. James Dean is looking for his forever home where he can be given lots of attention. James Dean comes neutered, up to date on shots, micro chipped, and current on heartworm preventative. If one is interested in adopting John Wayne please fill out the application above.